Transformation of “old paradigm connectors” occurs rapidly at this time. Hue-Beings are advised to release the “saving paradigm”. Current energetics (and supporting Higher grids) align only with New Paradigm connectors. “Old paradigms” are no longer an option for Gaia residents. Those attempting to remain at “old paradigm connector” level will be removed from all “New Paradigm” timelines. Those open to transformation will be guided to selected rescue paths, available for a short time. “Cooling agents” are now present with Gala and are available to all Hue-Beings upon request. Supporting protocols for all Gaia next steps are in place. Such steps will occur at appropriate now moments, and create mass transmutation of overall Gaia Consciousness. Participation portals have been operating at near full “capacity”. hu-manity is accepting its higher awareness. “Flourishing Energetics” of the New Gaia imprint Gaia grids. Assistance for hu-manity is at highest level possible and Hue-Beings have assumed prime positions at key Gaia grid locations for final imprintation. Gaia support of static desires on all levels has been removed and all such are being eliminated, at pace compatible with all Gaia inhabitants. “Shimmering” is now apparent to most of Hue-manity, and hu-beings also sense this, although yet at “hidden” levels. Gaia-guided activities are requested at this moment. Gaia calls for “essentials awareness” in all matters at this moment. Higher D guidings are primary. Secondaries, tertiaries, are being requested to be shelved, at this moment. Hue-manity activities must now align with Gaia Purpose. All Hue-Beings are “called”, as it were, to team with the Whole Gaia Consciousness, and to set aside individual ego desires. There is only one Being at this moment… and that is Gaia. Cosmic influxes are continuing to dissolve (eliminate) separation paradigms, on all levels. Unification of Gala Higher Consciousness with Hue-manity is prime at this moment. hu-manity will follow, shortly, however Hue-manity is called, strongly, to accept and embrace their lead rôle at this moment. Portals for hu-manity unfoldment have opened and allow such beings to experience full awakening to Higher Self. Establishment of secure growth portals has been restricted, until the current moment. hu-manity whole consciousness levels have risen sufficiently to allow this next step. Fortification of such portals permits large numbers of hu-manity to enter as group, as well as individual, entities. Energetic upgrades for selected Hue-manity groups are in process at this moment. This is in addition to general consciousness upgrades occurring in all of Gala’s inhabitants. Fracturing and dissolution of outdated low frequency paradigms has allowed this step. “Selected Hue-manity groups” includes many continuing to set directions from energetic levels not yet suited for Gaia whole, and primarily addresses vibrational dis-harmonies. Interests of all Gaia inhabitants are honored at this time. 5th Level sensitivities are now complete among Hue-Beings. Connections with Higher Source and Higher Róles have been fully acknowledged and accepted. Upgraded hu-manity is close to fulfillment of requisites for “hu-manity to Hue-manity” transformation. “Higher-Self” sovereignty has been recognized by the majority of hu-manity. Awaiting increase in acceptance levels. Energetics of Gaia near completion for “hu-manity to Hue-manity” transformation. Omicron 2.0 established. Attenuation 3.3. Resource Level 4.6. “Participation Portals” have been opened to hu-manity. Consciousness levels have risen sufficiently to permit these openings. Such Participation Portals have been available to Hue-Beings, but narrowness of these has prohibited entry by those residing in the lower 3D-4D. hu-manity energetic levels are at near Hue-manity entry levels. Opening of these Participation Portals to hu-manity portion of Gaia populace is intended to stimulate final step of hu-manity individuals from hu-being to Hue-Being. Collective hu-manity intention has reached necessary level for next Gaia upgrade. Energetics are aligned for massive forward and upward movement by hu-manity collective. Alterations in such [forward and upward movement by hu-manity collective] are currently not allowed by these Energetics, and supporting grid structures. hu-manity now progresses rapidly to Hue-manity. Crystalline Light Needles penetrate into Gaia hiddens at this moment. This occurs Gaia-wide. Synchronic Portals for Gaia upgrades are aligned to permit full restoration of Gaia Hue-manity consciousness. Partial consciousness restoration has previously occurred in step increments with limited effect, but current alignment permits full upward/forward progress for Hue-manity. Signal for full up-step occurs within each Hue-Being and occurs strictly in the now moment for each. Failure of all prior timeline and energy grid structures is now in clear view for all of Hue-manity and hu-manity. Galactic Connections assist Cosmic Portal openings throughout Gaia, as Gaia has upgraded sufficiently to accept such. Fortifications of Gaia portals and grids during recent moments allows Cosmic Portal generation and opening to permit free flow of Higher Cosmic Ascension Energies into Gaia. Such Galactic Connections and Cosmic Portal generation and opening will continue throughout the next months. Systematic updates to Gaia grids in progress to support blue ascension paradigm. Further updates to Gaia grid structures will follow as needed. Higher D Blue Sphere of Light surrounds the Gaia-ic Globe. Sparkles of point crystals shimmer in this High Atmosphere. Standardized protocols have now faded completely from Gaia intention space. Gaia grids have been cleansed of shadow web structures and are now free to operate as intended, without obstructions or restriction. Global resonance at hu-being levels is felt by all residing there. Hue-Beings now find application in Higher Realms. Inner Strength at individual consciousness points coalesces to the “Global Gaia”. We of Èireport group wish to speak to all of the Gaia collective. Our place in this realm has been to communicate messages from Gaia to those who might be called “Gaia Consciousness Companions” and “Gaia Travelers”. We refer to you primarily in two distinctive forms: “Hue-man” (or “Hue-Being”) meaning, awakened to Higher Purpose (aka “Gaia Consciousness Companions”), and “hu-man” (or “hu-being”), meaning, yet to awaken to Higher Purpose (aka “Gaia Travelers”). 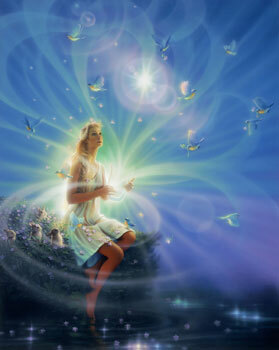 As so-called “outer” or 3D-visible changes occur, Hue-Beings are called to follow what may be termed “Higher Guidance” to discern missions and carry out what Gaia is calling for on a moment-to-moment basis. We make no “according to time schedule” predictions or futur-izations. However, our responsibility to you, as “Gaia Consciousness Companions” and “Gaia Travelers”, is to monitor Gaia desires, and actions requested, on energetic and 3D-5D levels, and pass them to all, via the GaiaPortal portal. Those who are called to such missions as Hue-Beings, or Gaia Consciousness Companions, will find an ease of acceptance that “the mission” is what is yours to “do”, whatever “mission” means, and whatever “do” means, for you. Old paradigm systems and timelines “failure” (collapse, dissolution) is certain. The “when” is not ours to state or imply, in any way, as we operate free of the time illusion (domain). We will state here that we are honored with, and by, each and every Hue-Being who has recognized and accepted their Hue-Being-ness, and we applaud your courage and resonate with your passion with, and for, Gaia-Higher-Purpose. Separation protocols previously operating on Gaia have been dissolved, and will remain [dissolved]. Supporting grids [for such protocols] have been eliminated, and will not again arise. Structurally sound consciousness has been achieved for this now moment, and all non-constructives are therefore not permitted.